Mobile Medical Screens allow protected environments to be set up in a matter of minutes. Each panel is set upon castor wheels and the concertina design means they can be rolled out as and when required. At the end of each panel, there are stabilising feet which ensure their strength once set up. 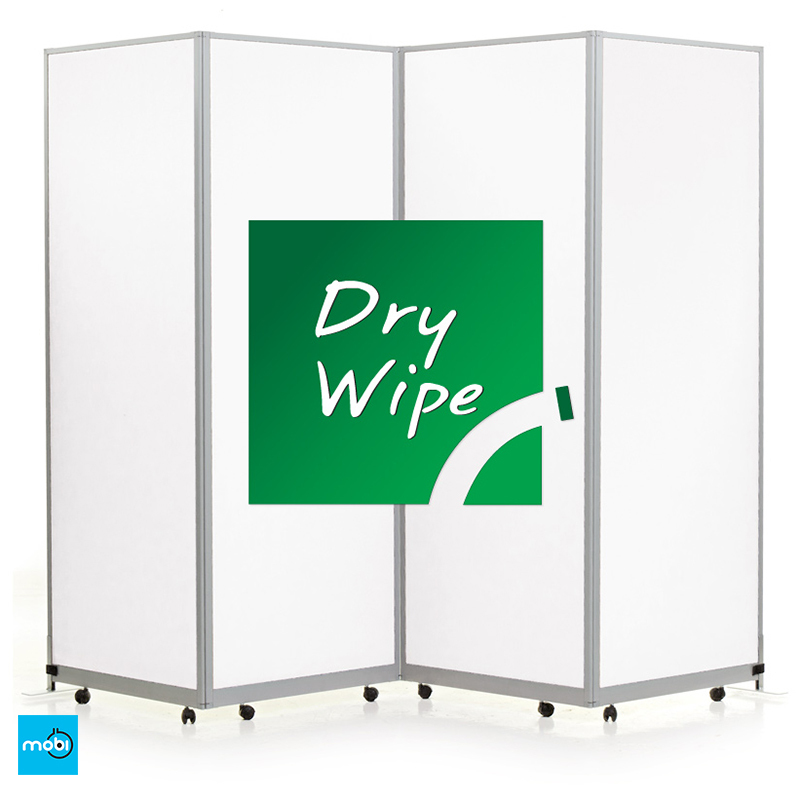 The Mobile Medical Screens are available in two materials; anti-bacterial fabric and a high pressure laminate. Each can be customised in a selection of different colours. Having Mobile Medical Screens on hand makes them incredibly effective in dynamic environments such as hospitals, clinics, schools and any environment which risks spreading nasty bacteria and viruses. By introducing a concertina design, the Mobile Medical Screens can be neatly packed away when not in use, allowing the space to be used dynamically for various functions and events. Why buy Mobile Medical Screens? 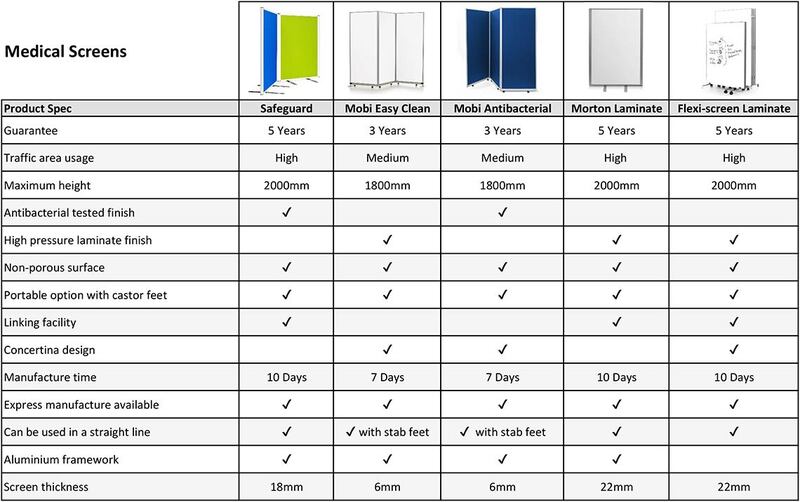 Each panel begins with a lightweight core which ensures they are easy to move about the environment. We then compress the core to provide strength and stability, ensuring that they are safe and secure once in place. The Mobile Medical Screens are then applied with either an anti-bacterial fabric or a high pressure laminate which provide protection against the spread of bacteria. The high pressure laminate can even be customised with the use of dry wipe pens. All of the Mobile Medical Screens are designed and manufactured from our site in Peterborough, Cambridgeshire. This allows us to monitor all of the Mobile Medical Screens that we produce to ensure that each meets the standards that we expect. It also means that the Mobile Medical Screens can be personalised with different heights, panels or even materials in order to ensure they are able to enhance the environment as much as possible. Once they arrive, the Mobile Medical Screens are designed to be easy to set up, simply link the panels together and secure the stabilising feet, then they are ready to be used. With the concertina design, the Mobile Medical Screens can then be simply rolled away when not in use. If you are interested in further information about the Mobile Medical Screens, then you can give our team a call on 01733 232000 or send an e-mail to sales@go-displays.co.uk.